Loud Ninja Games Event twenty percent off entire range and tell us your desires! 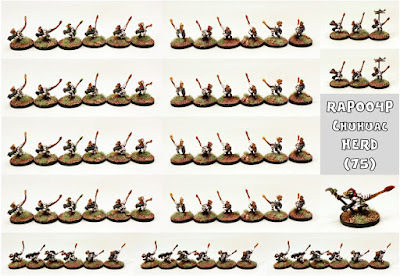 Manufactured in Scotland under license by Alternative Armies is the boutique 15mm range created by Eli Arndt called Loud Ninja Games. This range of more than forty codes contains firm favourites among the 15mm science fiction wargaming community. From the Chuhuac Space Raptors to the Yandrassi Empire as well the Ikwen and Wasteland Mutants it is full of original ideas. For the next week until 9am GMT Monday 11th February 2019 we have taken twenty percent (20%) off the entire LNG range (not the already discounted bundles such as the Archon Mecha kits) of packs. Have a browse and see what you like HERE. While we hope you enjoy this event we would also like to ask you for your input, your thoughts which we can then send onto Eli which will give him notions on what next to add to the range. You can send an email to us on sales@alternative-armies.com, you can post on our Facebook Group, you can visit Loud Ninja Games own Facebook Page. You can comment on our blog posting too. We will collate it all and let Eli know! One possible avenue of expansion is the Yandrassi Empire. The Yandrassi in an interstellar empire made up of dozens of species presided over by the enigmatic and unseen, Yan. While most of these species contribute to the collective through economic means, several species make their contribution through military service. 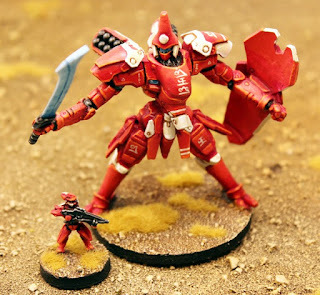 The bulk of the military is made up of the diminutive Neeks and the martial Tavshar. 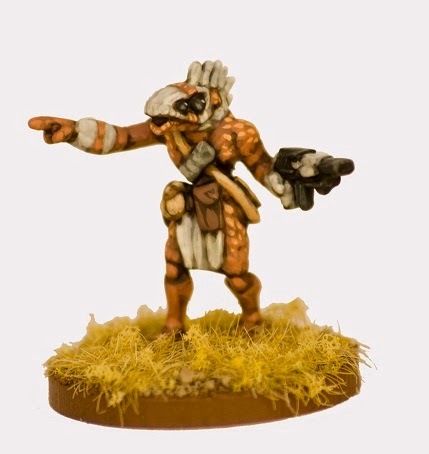 These aliens are supported by the brutish Horgosi. 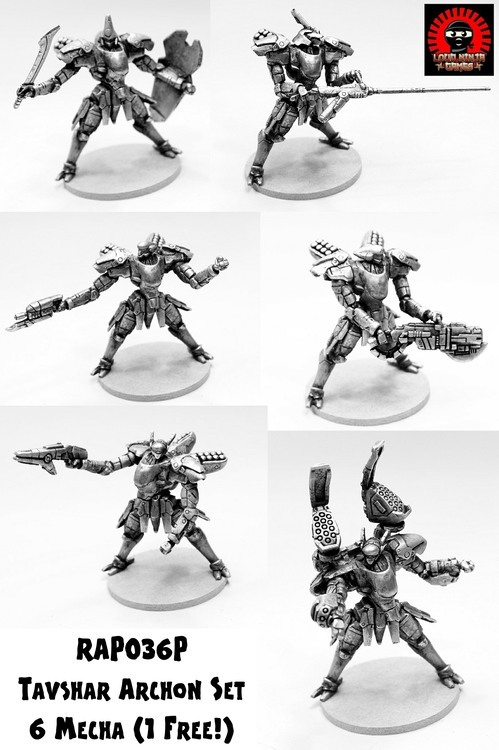 Foremost among this empire's forces are the Tavshar Archons a series of sleek mecha. Standing over 50mm tall with many pose options and head variants there are six different Archons including the Guardian armed with a massive energy sword and a shield. What could be added to the miniatures in this part of the LNG Range? Another possible route of growth is are the Ikwen. Plucky aliens resisting a superior alien invasion of their home world Kwiell. 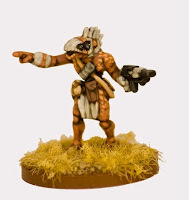 Armed with what they can create and also steal in a guerilla war the Ikwen have an infantry platoon as well as some superior fighters and terrain as well as wild beasts and farm animals. There is plenty of scope for the Ikwen to grow. 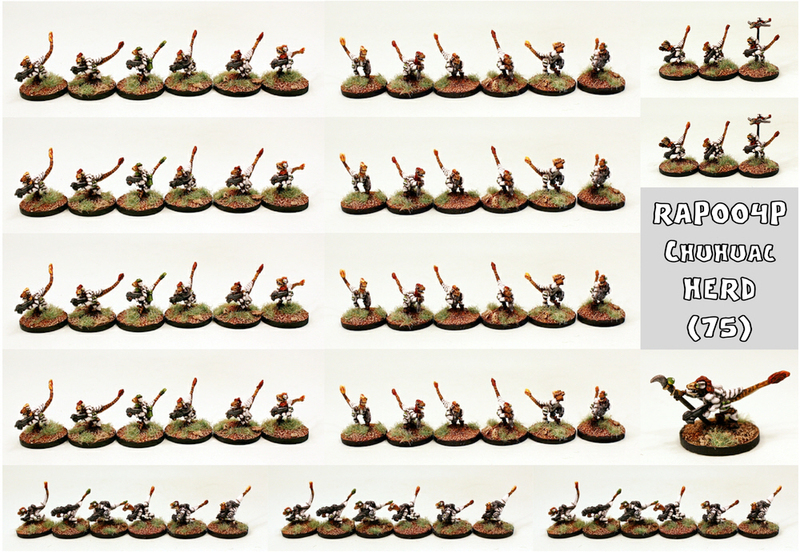 More foot soldiers and perhaps some cavalry too and portable weapons. Who are they fighting against and have any of those aliens come in person to help the Ikwen? What could be added to the miniatures in this part of the LNG Range? Lastly perhaps some more odd and weird codes could be set in motion such as those in the Alien Encounters and Wasteland Mutants. There are Road Wardens, Rad Zombies and Wasteland Raiders as well as the Terrorclops and the Buddies. Super Mutants with strange mental powers too. What else could be brought to the post apocalyptic world as part of the LNG Range? Thanks for reading and enjoy the Event!